Breaking News: Multiple UFO Sightings Across the US! UFO invasion proves all Magic-Flight vaporizers are compatible with this handy, portable water filtration device and pairs perfectly with both the Muad-Dib Concentrate Box and Launch Box….Worldwide – have you witnessed a UFO? Have you been abducted yourself and taken to another place? You are not alone! Our newest concentrate vaporizer, JaK D’Rippa, also is easily filtered with the UFO. Cool down your vapor with any pint glass – instantly. 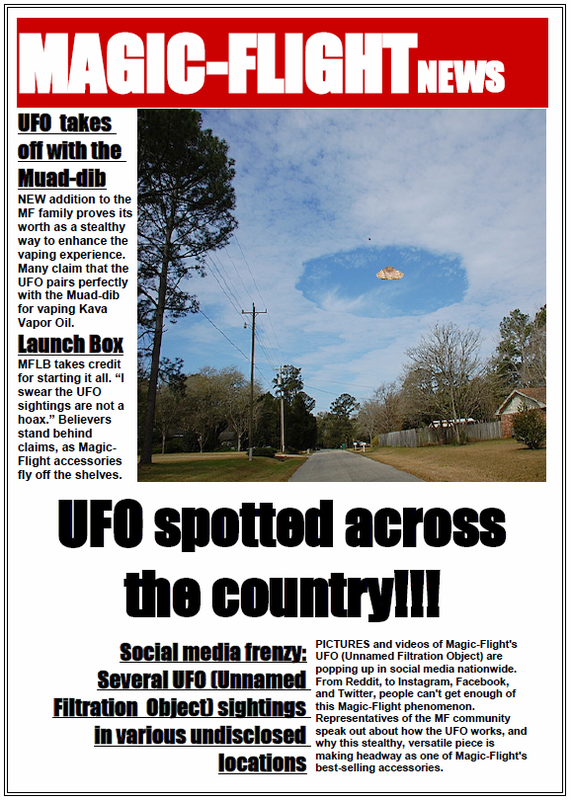 Magic-Flight’s UFO and San Diego ~ sightings being reported…take a look at the footage that turned us into believers. This entry was posted in New Product, Products, Uncategorized by Magic-Flight. Bookmark the permalink.